Bullet journals are all the rage right now. If you’re on social media, you’re bound to come across them. If you have creative friends, maybe you actually know somebody who used one. That said, you may still not have any clue “what is a bullet journal”, and why they are such a big deal in the first place. 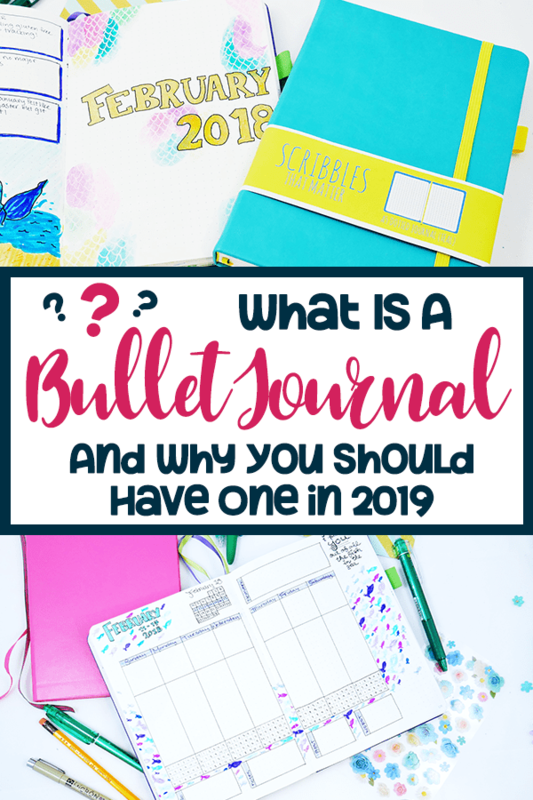 I’ve noticed that a lot of blogs immediately assume you either use a bullet journal or that you know what they are. 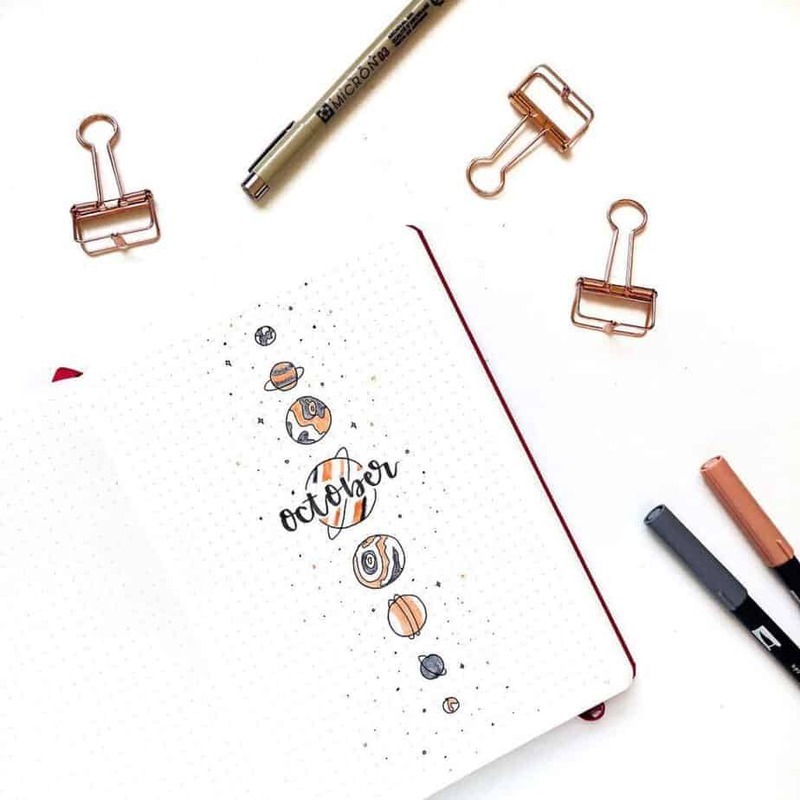 If you’re new to Planning Mindfully, you’ll find bullet journal posts everywhere. 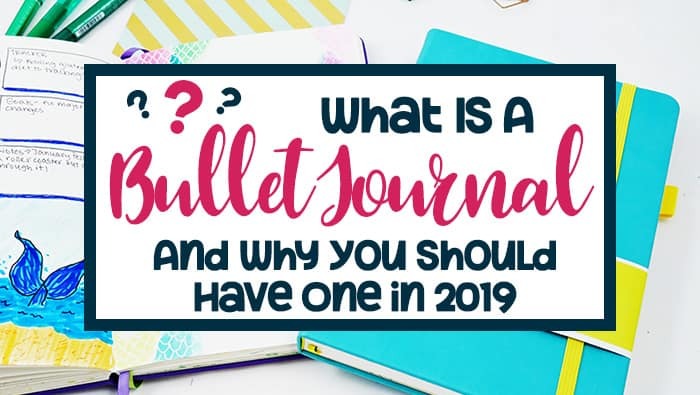 Yet, if you don’t know what a bullet journal is in the first place, you’re not going to find a lot of value in those blog posts. So if you just want to know what bullet journals are, this post will guide you to learn all things bullet journal. 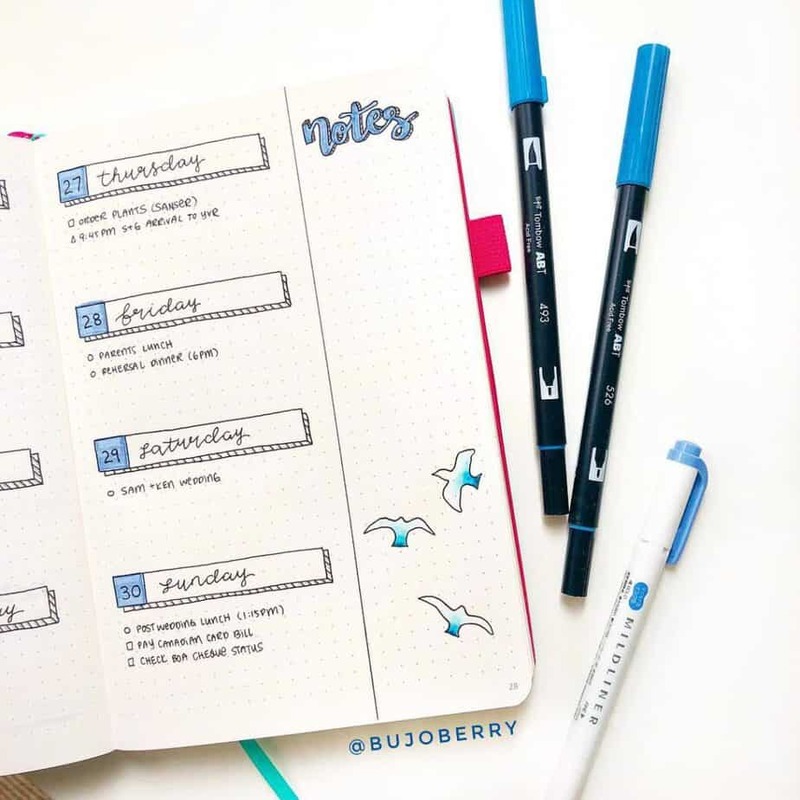 A bullet journal is simply a regular notebook used in a such a way that you can create your own planner, journal, tracker system, or to-do list. 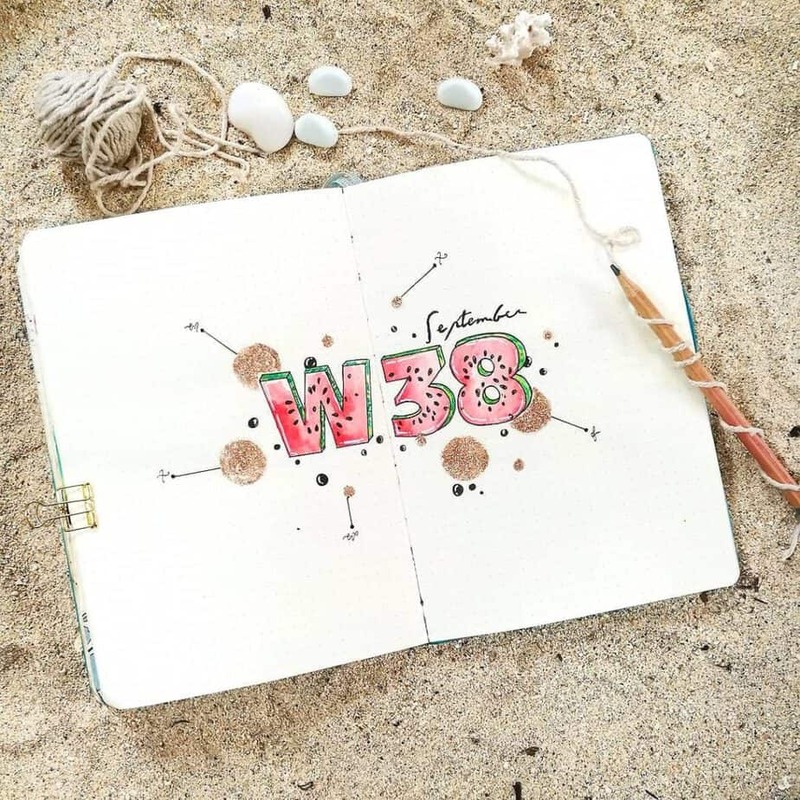 Typically, a bullet journal incorporates two, three, or all four of those elements. Ryder Carroll made the term famous by using a simple logging system in a dot grid notebook, frequently using bullet points to highlight important information. Since Ryder Carroll introduced the bullet journal years ago, people have found this creative logging system to be the tool they need to master time management in a way that meets an individual’s personal needs. Why Do People Like Bullet Journals So Much? The bullet journal is popular because you can make it to be anything you need. If you need a place to draw and doodle while you write down your tasks, you can do so. If you need a system that can change easily, you can do that, as well. Don’t get me wrong, they are a lot of work. But the flexibility of the bullet journal is a huge part of why it’s so popular. While Ryder Carroll has his particular system implemented, the evolution of the bullet journal has basically expanded the concept to serve the needs of the individual using it. Long story short- there’s no one way to keep a bullet journal. You customize it to fit your needs. Consider you are building your system from scratch, its normal to expect that this planning system may take a little longer to set up (unless you take a very minimalist approach). Some people will set up weekly; and typically it takes minimum 15 minutes to set up a weekly spread. 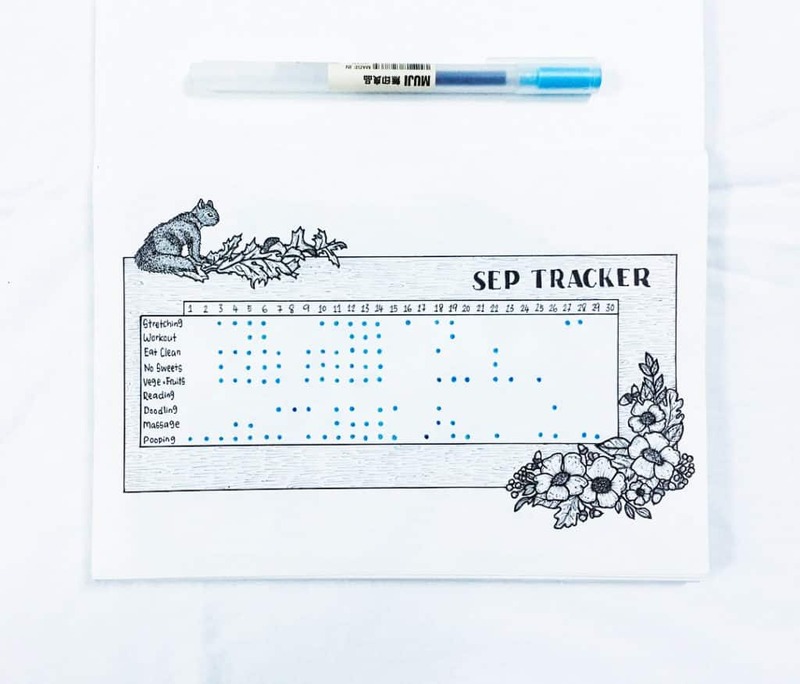 Monthly spreads can take a little longer because they include elements such as trackers and monthly calendars, which typically involve more detail than the weekly spreads. You’ll likely spend a minimum of one hour setting all of your monthly spreads up (though, less if there is no art or if you’re using supplies to optimize the process). I tend to set up all my monthly and weekly spreads at once; with art, this typically is about 15-18 pages of work. This takes me about four hours to create. It sounds like a lot, but honestly I find setting up my bullet journal very relaxing. What Are the Elements of the Average Bullet Journal? I’m going very basic here because I don’t want to overwhelm you with information (though, links are provided for each element if you’d like to learn more). If you’d like to learn a basic overview of other more common bullet journal terms, make sure to check out the Bullet Journal Glossary. What Kinds of Styles Are There? This style is straightforward, organized, and direct. Each page has a specific function and organization theme. The style is full of art and doodles- typically less structure involved in the organizational elements. You’ll find art of all kinds- drawing, watercolor, and more. This style is much more minimalist and adheres more to how Ryder Carroll envisioned the bullet journal. Typically devoid of art, minimal color, and only enough structure to make sense to the user. The inventive style is more like a scrapbook style; people tend to journal in this style rather than keep it more of a planner style. You’ll find a mix of art, stickers, pictures, washi tape, and other supplies for decoration. This style is more relevant to students, who use their bullet journal as a place to track notes, meetings, tests, homework, and anything else they need to be successful at school. Often this will include lots of color and doodles, as these students find it helps them focus. This style is more of a mix of the other styles and typically changes from week to week (or the need of the user). You’ll find organization, but also art and other mixed media in this style. Not sure what your style is? Take the Bullet Journal Style Personality Quiz for more information! Should I Keep a Bullet Journal? Creative people who have had trouble with previous types of planners and time management systems. Individuals who enjoy doodling, watercolor, coloring, or painting and use it frequently in much of their work. I wouldn’t recommend it to people who already have a planner system that works for them and are already short on time. You’ll notice that list is rather short. The thing is that unless you have a system you already love and you don’t have a lot of spare time for more, you probably aren’t going to have a good feel of whether it works for you or not until you actually try one. You always run the risk of finding it may not work for you after you start, but likely it’s just because you’re not optimizing the best use of your bullet journal. 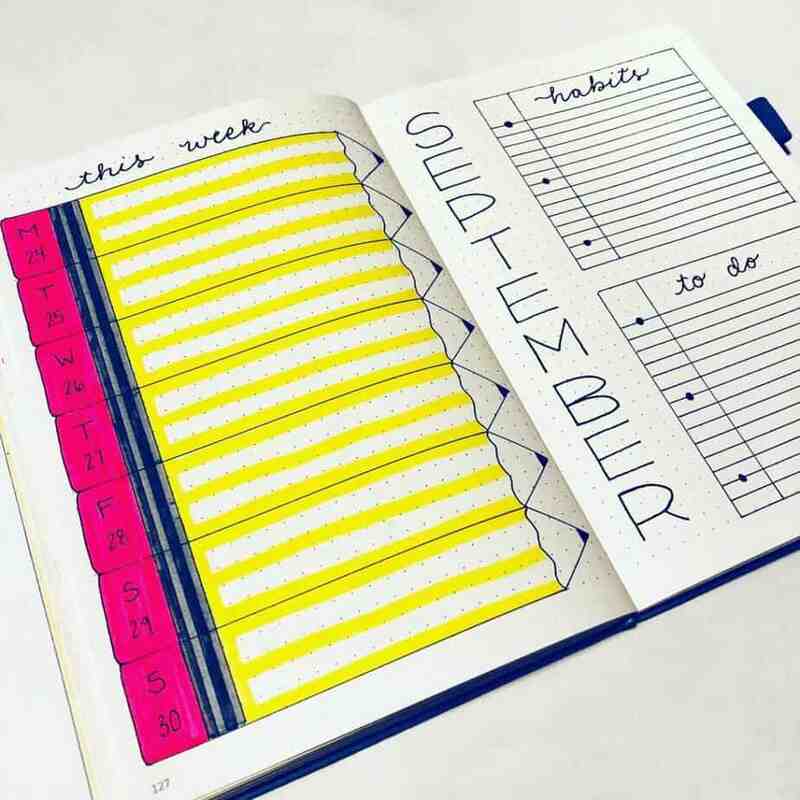 Thankfully, you’re at Planning Mindfully, and many articles posted are all about how to best optimize the use of your bullet journal. Do I Have to Learn Drawing and Lettering? Absolutely not. While a lot of bullet journal artists, including myself, utilize these methods regularly, they are certainly not required. One thing that discourages a lot of new bullet journal artists is that they can’t draw or organize as well as somebody else. Social media has a lot of beautiful examples of what you are capable of doing with a bullet journal, but if you aren’t at that level yourself, you shouldn’t berate yourself for not being there. In fact, a lot of bullet journal artists are already artists in other ways- their talents naturally leak out into their work. Same with hand lettering, it’s pretty, but not necessary. If you do decide to try art and hand lettering in your bullet journal, consider practicing or creating a rough draft of what you want to make in pencil, first. Many of the readers at Planning Mindfully struggling with traditional time management strategies, including myself. 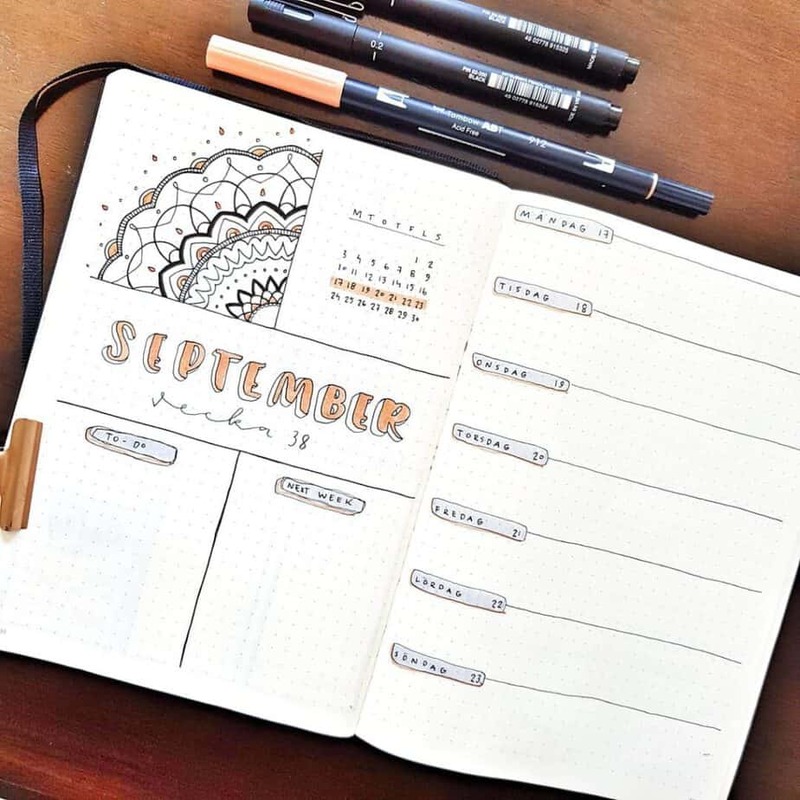 Starting my first bullet journal back in October of 2016 has been life changing, and it’s a huge reason why I promote them so readily throughout the blog. And the bullet journal is perfect for these people. You get to draw, doodle, and do whatever you want.You can create brand new spreads. If you quit for a little while, you just flip to the next page and start anew. It can be literally whatever you need it to be. So if you’re convinced this is for you, and you’re ready to start, you can learn how to start a bullet journal here. Still Not Sure What A Bullet Journal Is? I hope this post was able to help you understand what is a bullet journal, along with basic understanding of the various elements of bullet journals. As I said in the post, they aren’t for everybody, but I highly recommend you try it. If you still aren’t 100% crystal clear on what a bullet journal is, feel free to ask any questions in the comments! I would love to continue building this post to be the best in can be, so if it’s missing something, let me know. More clear on what is a bullet journal? Great work laying all of this out. I couldn’t have done it better. I love my bullet journal. I’ve never had a system that works so well, and it does so since I get to make it up. It’s brilliant. Everyone should give it a go! 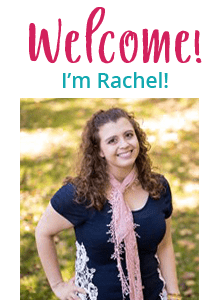 Hi Rachael- Thank you so much! I’m so glad to see how the bullet journal is so positive for so many people- I appreciate you sharing and your encouragement.